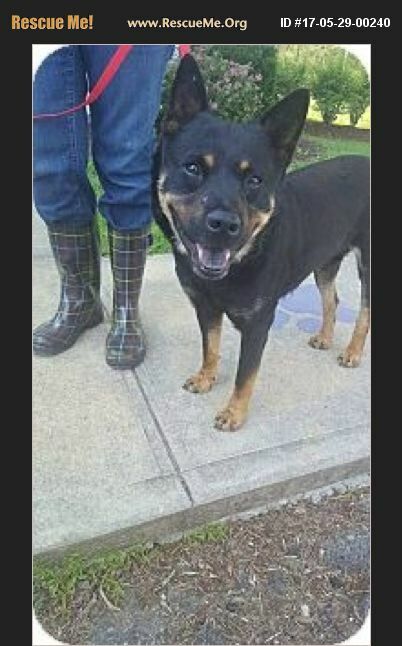 North Carolina Australian Kelpie Rescue View other Australian Kelpies for adoption. I am already neutered, housetrained, up to date with shots, good with dogs, and good with cats. Bentley's Story... Hi, my name is Bentley the Australian Kelpie and I am so happy to be out of the shelter and settling in with my new foster parents. I have two foster dog siblings (and one cat) and truthfully I really can take'em or leave'em....I don't seem to be bothered by much. I walk great on my leash, will stay in my crate and happily take treats so gently out of my peep's hands. I ride nicely in the car and so far I haven't let anyone even hear my bark. I am a handsome boy of about 3 years of age, and I weigh 45lbs. I would love to find a forever home where I could have some daily excercise, a family to be devoted to and toys to keep me busy and occupied. My breed loves to have a job to do, so if I'm a busy boy, I'm a happy boy. Please give my foster Mom a shout if you'd like to meet me, I'm waiting. Adoption fee is $225 Applications can be filled out at pawsforlifenc.org Bernie is Heartworm Positive and will be ready for treatment the end of August 2017 so his adopters must be local to Raleigh or willing to come back to the Raleigh area for his treatment.